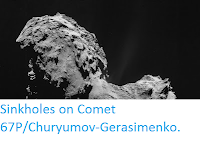 Sciency Thoughts: Comet 144P/Kushida passes the Earth. 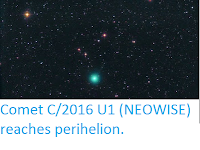 Comet 144P/Kushida will pass the Earth at a distance of 238 200 000 km (1.59 times the distance between the Earth and the Sun, and outside the orbit of that planet) on Friday 17 March 2017, its closest approach to the planet this year. 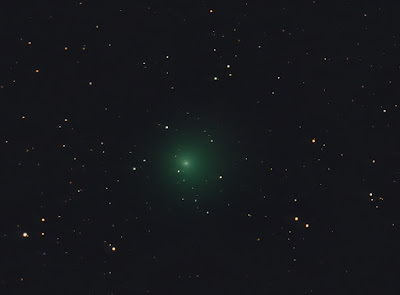 Sadly the comet will not be naked-eye-visible, achieving a maximum magnitude of about +13, which means it will require a fairly large telescope to see it. 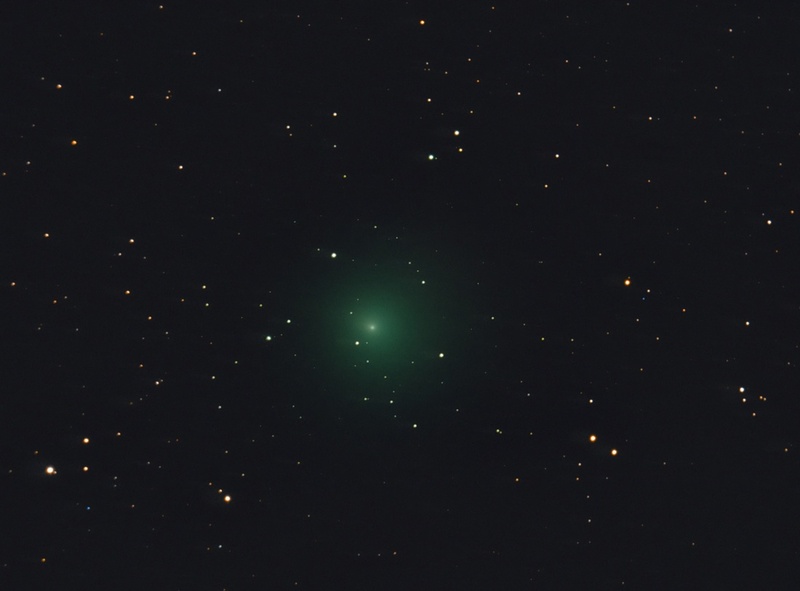 Image of 144P/Kushida taken on 16 January 2009. Hunter Wilson/Wikipedia. 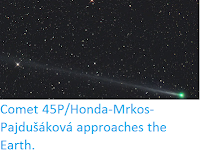 144P/Kushida was discovered on 8 January 1994 by Yoshio Kushida at the Yatsugatake South Base Observatory in Japan. 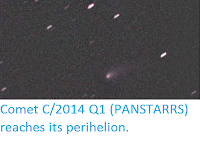 The designation 144P implies that it was the 144th periodic comet ever dicovered. 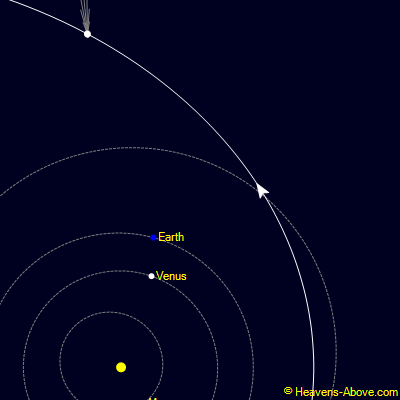 The relative positions of 144P/Kushida, Earth, Venus and the Sun on 17 March 2017. Dotted lines represent the orbits of planets, with the outer line being that of Mars. Heavens Above. 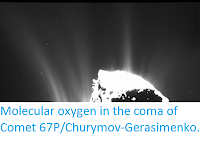 144P/Kushida s a short period, Jupiter Family comet (a comet with a period of less than 20 years with an orbit angled at less than 30° to the plane of the Solar System), with a 7.58 year orbital period and an elliptical orbit tilted at 4.11° to the plane of the Solar System, which takes it from 1.43 AU from the Sun (i.e 1.43 times as far from the Sun as the Earth,slightly inside the orbit of the Planet Mars) to 6.28 AU from the Sun (i.e. 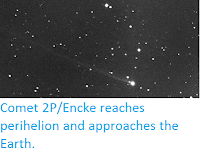 6.28 times the average distance between the Earth and the Sun, outside the orbit of Jupiter).